It is only natural to have cold feet before your wedding day, but how do you know if these doubts are just pre-wedding jitters, or something more serious? 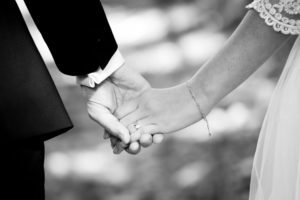 Most brides and grooms will admit to having some hesitations leading up to their wedding day – after all, you are about to take the plunge and commit to spending the rest of your life with one person. In the majority of cases, this freak-out time means you are experiencing some pre-wedding anxiety that will pass as soon as you see your soon-to-be-spouse at the end of the aisle. Cold feet can show up in many different ways, from focusing on all your partner’s annoyances to a panicky feeling about the 200 guests that are flying in for your big day. While having cold feet and feeling anxious about your wedding day isn’t always healthy, it is completely normal. You are about to make a huge commitment that will impact the rest of your life – so it is no wonder you are feeling a little out of sorts! That being said, there are certain ways to deal with these jitters that are healthier than others. We often recommend couples come into our Carrollton marriage counseling clinic for a session or two before your special day arrives, as we will be able to help you through any trepidation you may be experiencing. Marriage is permanent, so it is very common for people to second-guess themselves in the days and weeks leading up to the wedding. Cold feet is a reaction to stress, which is why it makes complete sense that many couples experience these feelings prior to the wedding. The engagement period can be overwhelming, to say the least, and pre-wedding stress can make individuals irritable, impatient, and more easily annoyed. If you all of a sudden notice your partner or family members are driving you crazy and annoying you more than normal, take a step back and consider how you are feeling. Your nerves are likely frazzled and causing you to feel out of sorts, but it’s important not to let these feelings take over. Meditate – Meditation is a wonderful tool that will allow you to take a step back from the craziness of wedding planning. If you are experiencing feelings of doubt or concern over the decision to get married, try meditating and taking some time for yourself. Many people experience clarity in these moments of meditation, which can be a huge help moving forward. Take time for yourself – Try not to get too wrapped up in planning your wedding and making sure every single detail is perfect. This is a very stressful time, which can lead to a wide range of emotions, not all of which are positive. By taking a step back and getting some “me time”, you should hopefully be able to relax and breath out any feelings of doubt. Communicate, communicate, communicate – If you are experiencing cold feet or nerves about your wedding day, we cannot stress enough how important communication is. Talk to your partner, friends, and family and let them know how you are feeling. One of the biggest mistakes people make is hiding these feelings for fear of saying them out loud, but this will only make matters worse. If you are questioning how you are feeling about your wedding day and aren’t sure whether it’s just cold feet or something bigger, give Lifeworks a call. Our Carrollton marriage counselors will work with you to understand if you are just stressed out, or if there is some backing to these anxious feelings. Please give us a call today and schedule an appointment.